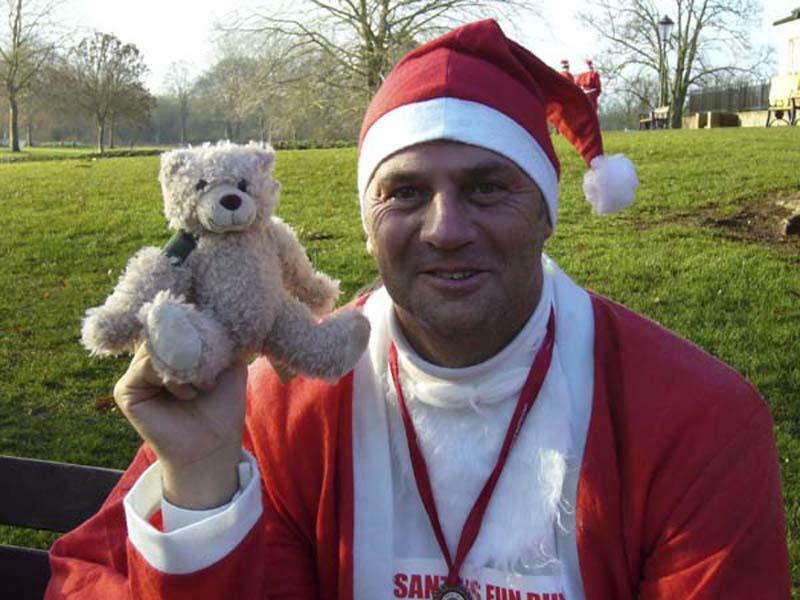 Sir Steve Redgrave was one of the competitors in the Marlow and Marlow Thames Santa Fun Run 2010. After the run, he had the opportunity of meeting Baxterbear, Rotary's charity fundraising mascot. 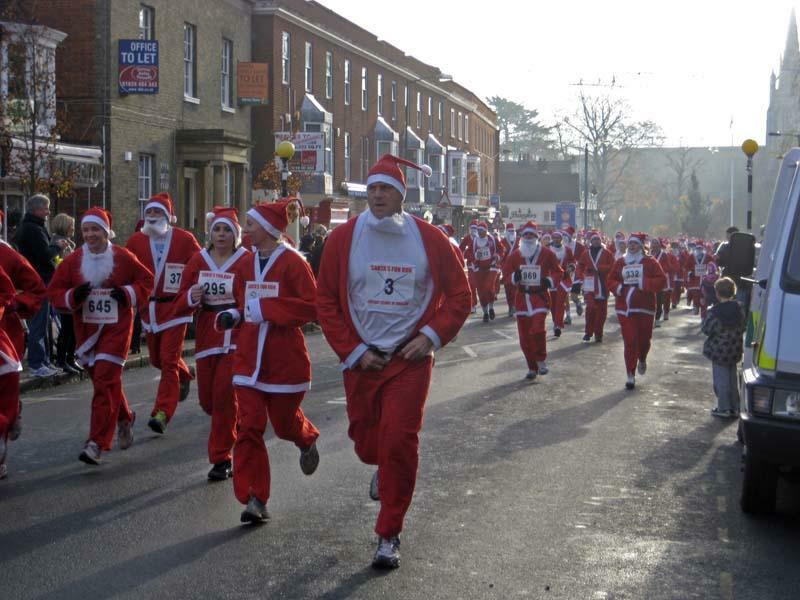 Santa usually comes early to Marlow. 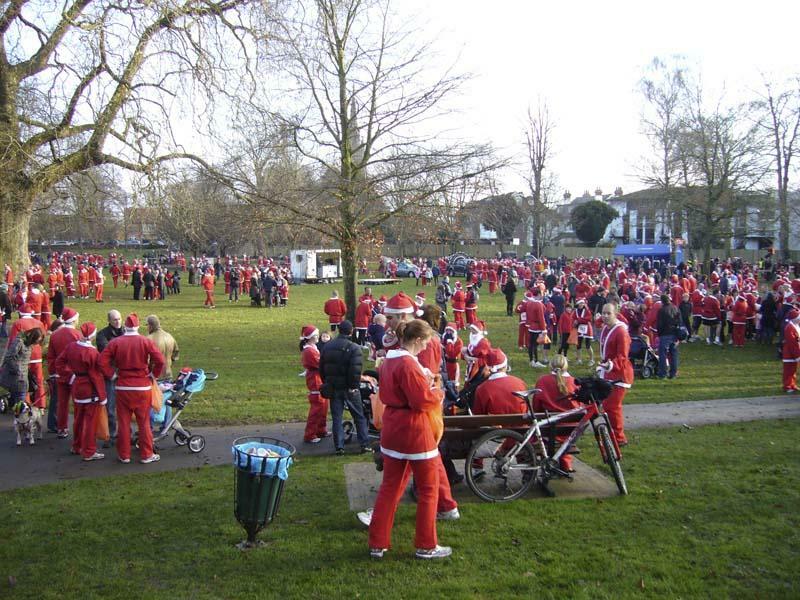 Each year, during the first weekend in December, not just one Santa appears but nearly 1,200 of them, all running round the town. 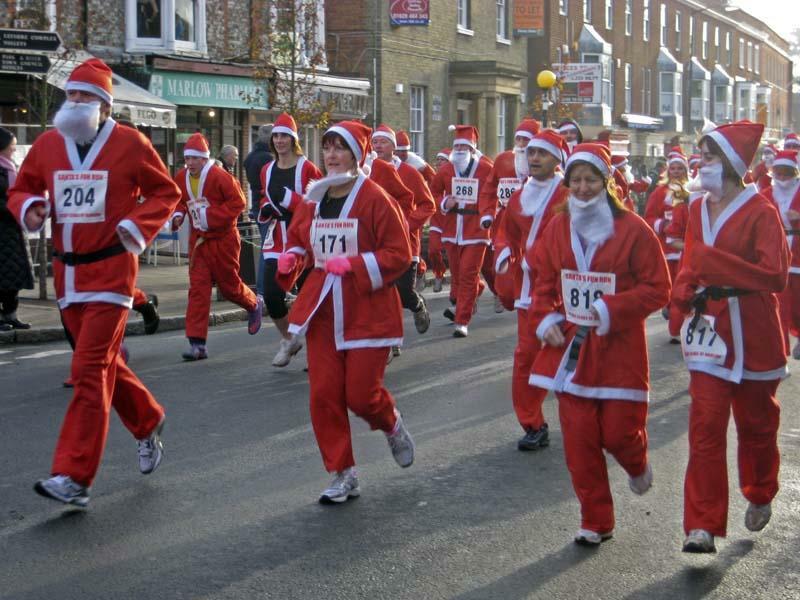 The Santa Fun Run is a five kilometre race organised by the Rotary Clubs of Marlow and Marlow Thames. 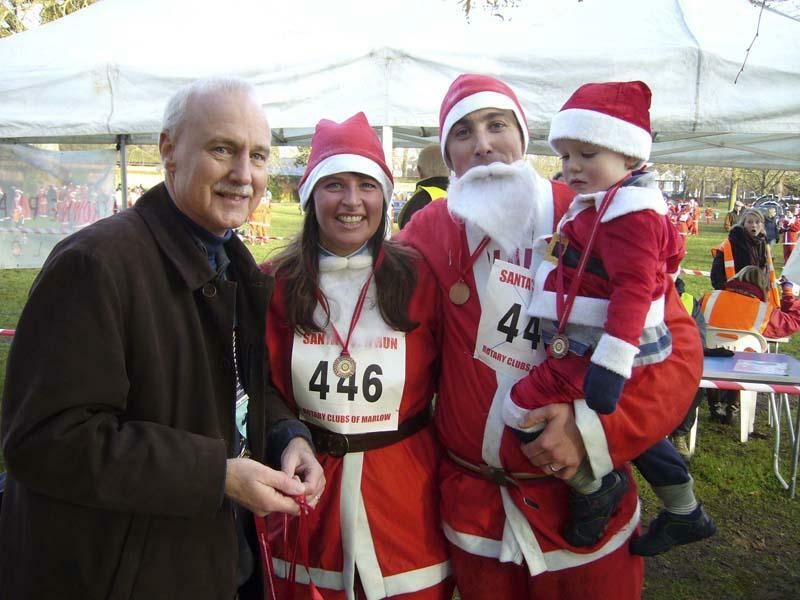 All entrants are asked to wear a Santa costume, provided by the two Rotary clubs. 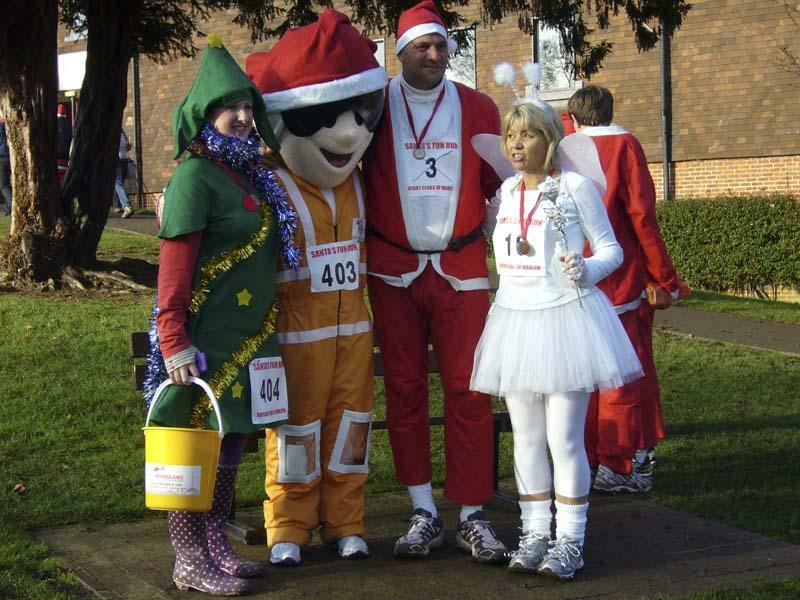 Higginson Park in Marlow is the venue for the start and finish, the runners going up the High Street before following a route around the outskirts of the town, finishing up alongside the river and back to the park.